"Mom, I want French toast sticks with a cold middle." Hadley asks for this culinary delight every morning. Her breakfast of choice is Eggo Cinnamon French Toast Sticks that I apparently never leave in the toaster long enough. 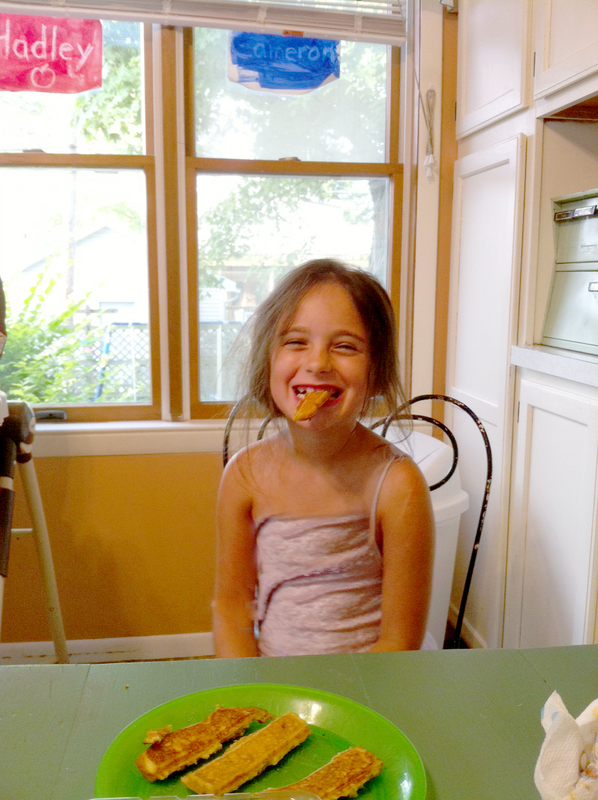 I know I've done a bang-up job raising this kid when she appreciates half-cooked frozen goods from the toaster. What's going to ruin the whole charade is when she grows up, has a few meals in the real world realizes that food should be cooked - all the way through. But for now, I will relish the days when my precious 6 year-old regards French toast sticks with a cold middle as Mom's good ole home cooking.